LASH beLONG™ Black 10mm Individual Lash Extensions 4,000 count (Length 10mm, Width 0.15mm, J-Curl) provide long lasting results and completely natural look, with high quality and dermatological tested materials. Extensions are to be used with Lash beLong black or clear adhesive. 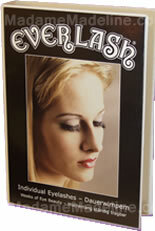 LASH beLONG individual silk lashes are applied directly to the natural lash line of the client. During the procedure, LASH beLONG medical grade adhesive is used. It does not contain formaldehyde. In this way, the result is added volume and length of the lashes, with natural appearance and no weighting down. Duration of the process is 30 to 120 minutes, depending on the wanted look and skills of the technician. Touch-ups last for approximately 15 to 45 minutes and it is necessary to perform it every 2 to 4 weeks, for maintaining the full lash line. Client’s natural lashes must be completely dry. Makeup and other cosmetic products must be removed. During application of Lash belong lashes, client must keep the eyes closed. 1. Thoroughly clean the lashes and lids, removing the makeup and other cosmetic products with oil free remover. 2. Using tweezers, carefully take LASH belong lash and dip it in the adhesive facing the root. 3. Place the root of the lash extension 1mm to 2mm from the natural lash root, without touching the eyelid. 4. 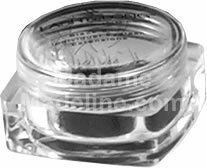 Carefully place it onto the natural lash, evenly spreading the adhesive. 5. Dry lashes thoroughly with an air-blower or fan before applying additional extensions. Removal: Your Lash belong extensions can be easily removed with specially formulated Lash beLong Adhesive Remover. Never try to pull your extensions off after adhesive is set.